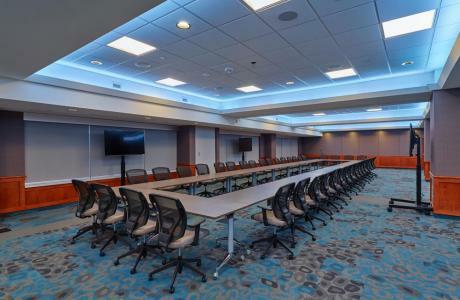 Located in the beautiful lakefront town of Oakville, Ontario, the Sheridan Conference Centre & Residence is beautiful function space and has accommodations for a variety of events. 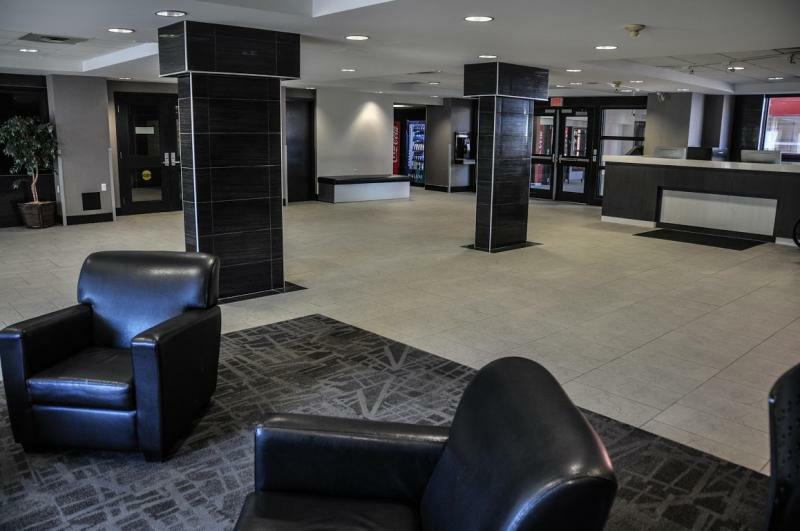 The Oakville, Ontario venue provides easy access to Pearson International Airport, downtown Toronto, and also Niagara Falls. If you are looking for a way to minimize distractions for your conference guests while also providing options for downtown extracurricular activities, Oakville may be the perfect fit. 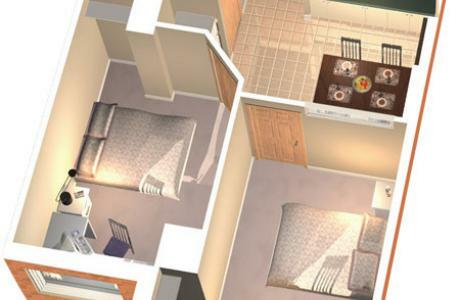 Hotel-style guest suites feature two private rooms, each with a double bed. 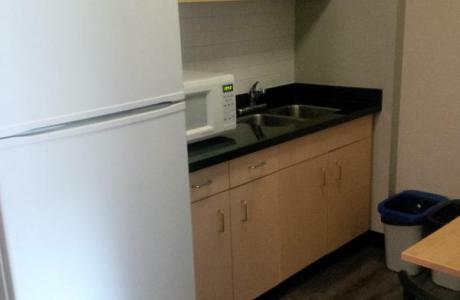 In suite amenities include cable TV, kitchenette with full-sized fridge, microwave and private washroom. 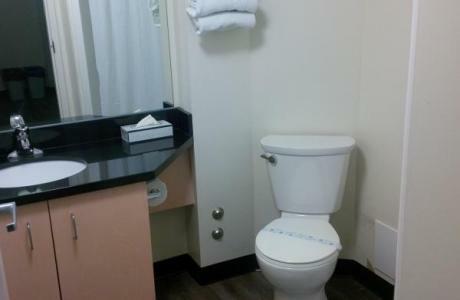 Free parking, free local calls, wifi, and housekeeping included. 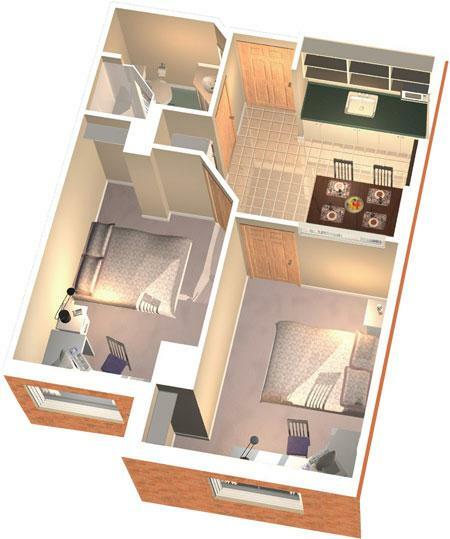 Building amenities include games room, fitness room, onsite laundry, movie lounge, full shared kitchens, and an outdoor space with barbecue. 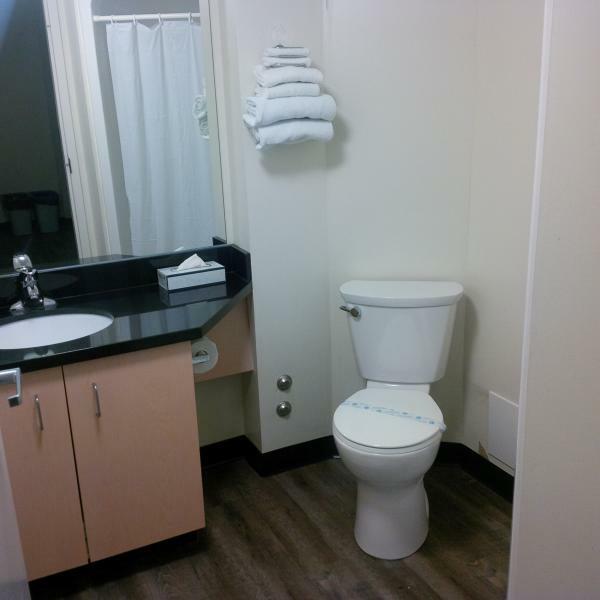 Most rentals include Wi-Fi and basic AV. Complimentary parking is provided in the Conference Centre and with overnight lodging on campus. Onsite catering and bar services are available. 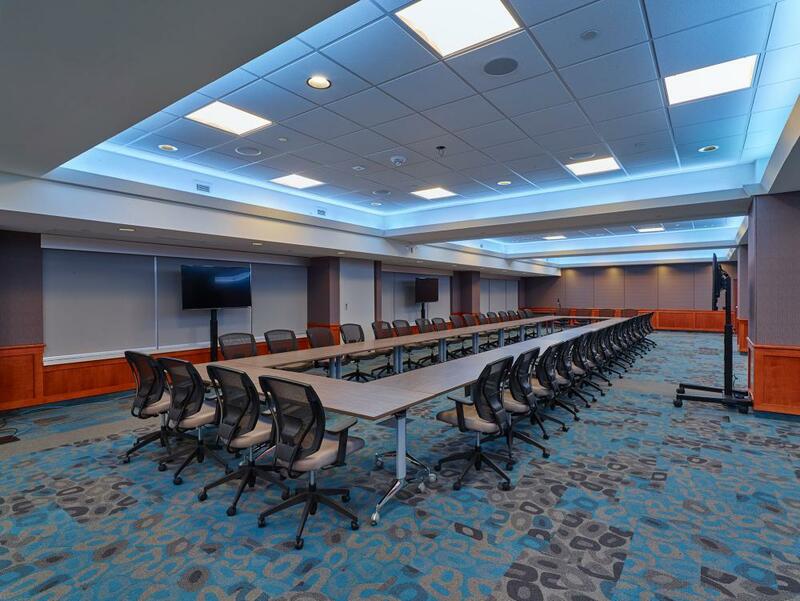 Whether you are hosting an Oakville, Ontario conference, meeting, retreat, banquet, camp, wedding or another special event, we are committed to making your time here at Sheridan memorable! 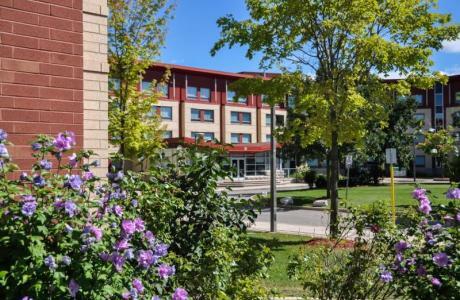 Oakville, Ontario Conference Centre and campus event spaces available year-round. Accommodations available May through mid-August. Single or group travel welcome. 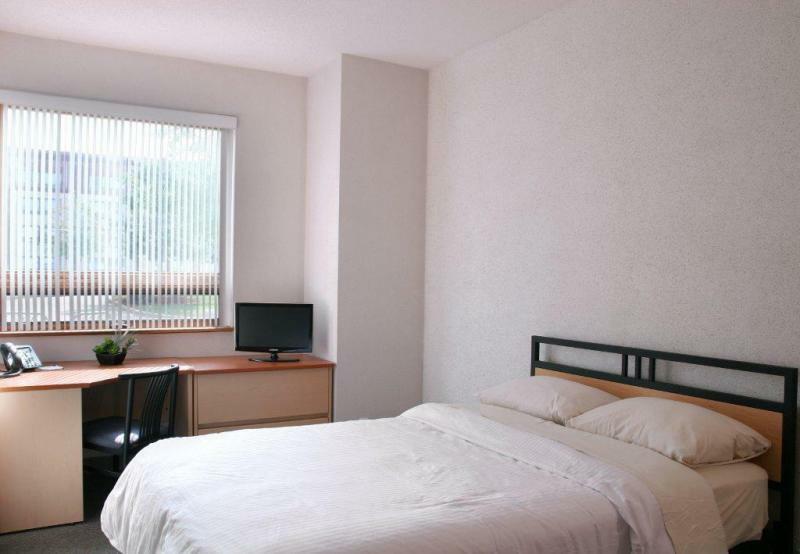 Partner with local hotels within 2km of campus to provide accommodations during the academic year. 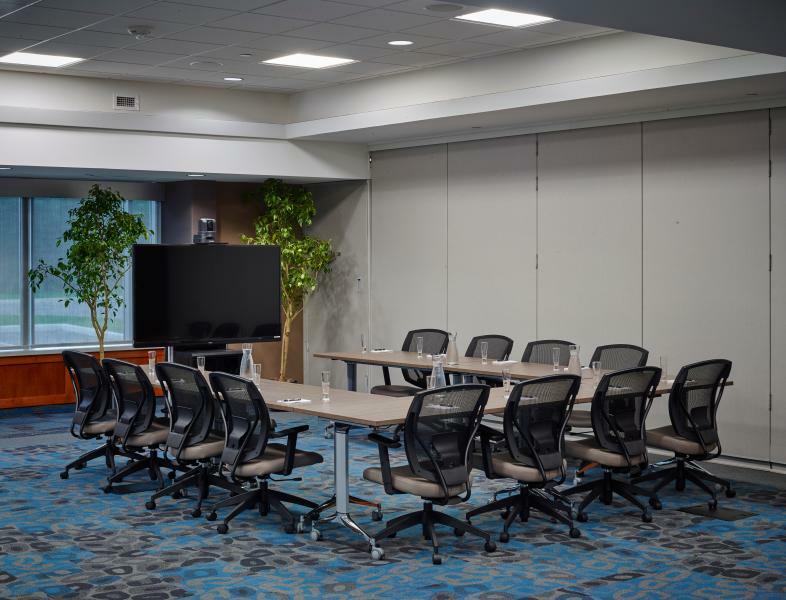 Sheridan Conference Centre features state of the art A/V technology in all Halls as well as on the 100-seat, licensed patio. Wi-Fi, A/V equipment, computers, video data projection, videoconferencing, teleconferencing and smart classroom technology with integrated podiums are available for most classroom and lecture hall rentals.| All residence suites feature dataports for internet connection, complimentary wifi provided across all campuses. Catering available through our exclusive in-hours campus food service provider, Chartwells. Diverse and dynamic menus, with custom meeting packages available in the Conference Centre. Bar Service provided through Conference Services Department, and our fully trained student bartending staff will provide exceptional service at your special event. Competitive rates and unbeatable value! Meeting, Wedding and Bar Packages are available at the Conference Centre. We are happy to provide facility rental discounts to registered non-profit organizations at all campus locations. Signed rental agreement and liability insurance required for all rental groups. Single or group travel and long terms stays welcome in our accommodations. 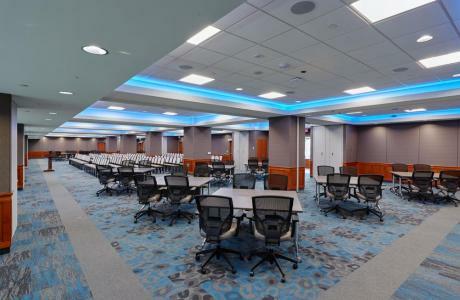 The Sheridan Conference Centre is made up of 3 Halls that can be used as one large event space for up to 330 guests, or individually to accommodate smaller events or breakout spaces. 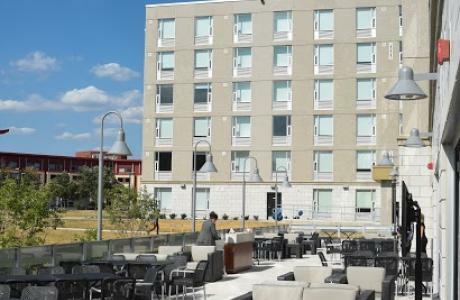 We also have a 100-seat, licensed patio with fire tables and a portable bar. 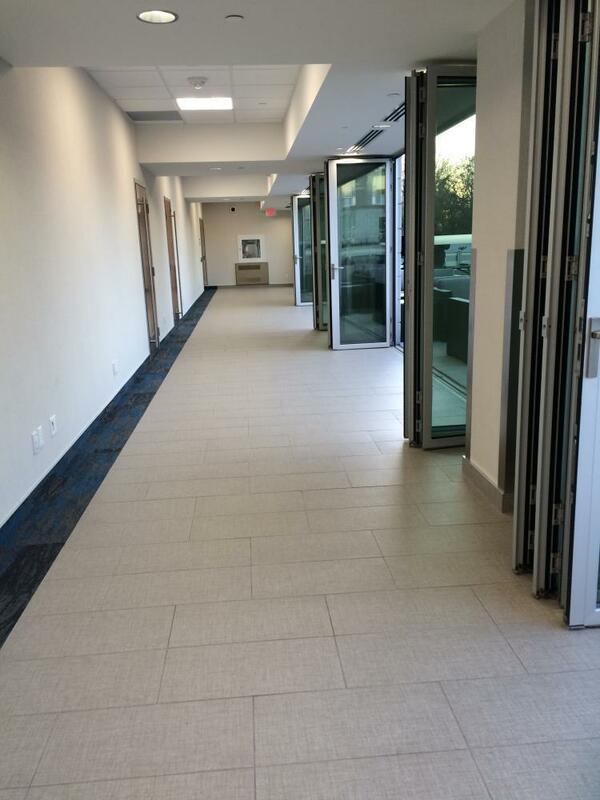 All Halls at the Conference Centre have large windows featuring scenic views of woods and nature trails. Venue is fully accessible as per AODA Standards. Conference Centre - Brampton	 There is a Conference Room conveniently located on the 1st floor of the Residence & Conference Centre - Brampton that is great for meetings, workshops, or other small gatherings. 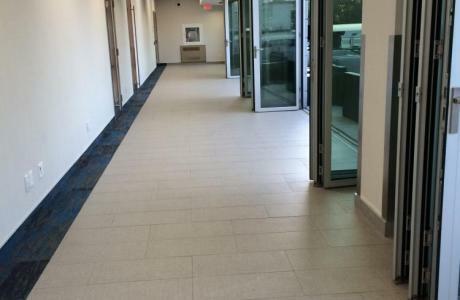 With views overlooking the forest ravine, the facility can accommodate up to 80 people. Facility includes tables, banquet chairs, overhead projector, screen, complimentary wifi, whiteboard and flipchart. 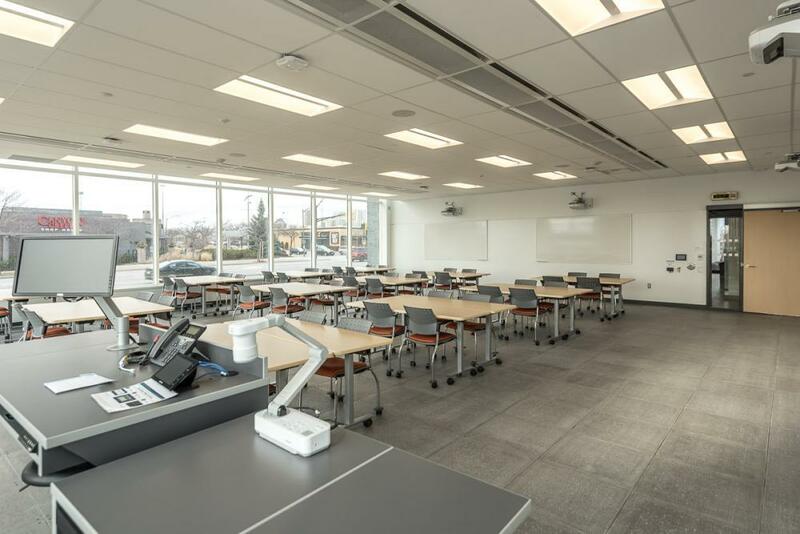 Across Sheridan's three campuses (Oakville, Brampton, and Mississauga), we have over 100 classrooms available, ranging in size from 24 to 60 people. All classroom facility rentals include complimentary wifi, whiteboard, desktop computer, projector screen and AV overhead projector. Laptop connections (most rooms only have HDMI, some VGA) are also available. During the academic year, IT support is available Monday through Friday until 11:00 pm (modified hours from May through August). 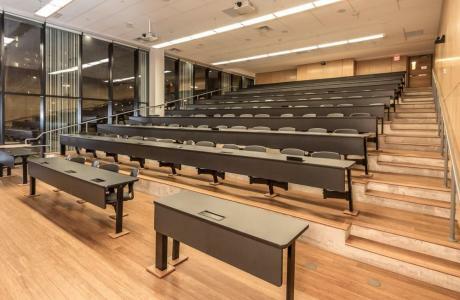 Lecture Halls	 Across Sheridan's three campuses (Oakville, Brampton, and Mississauga), we have 10 different lecture halls available, ranging in size from 80 to 172 people. 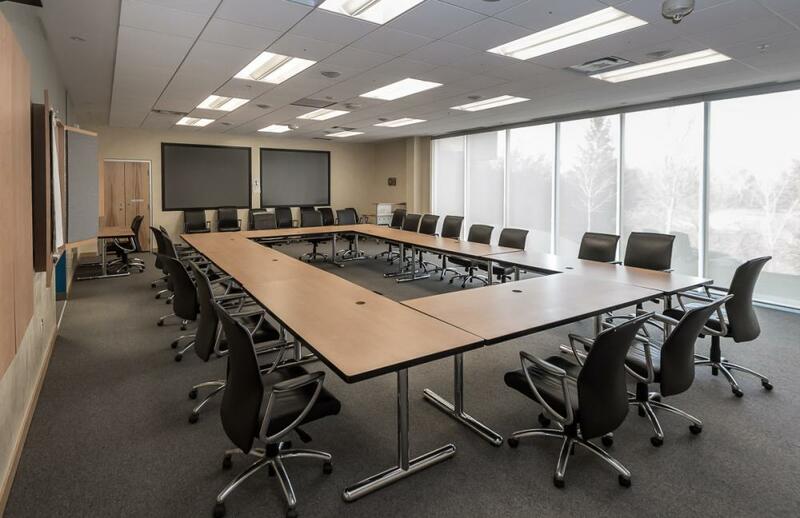 All lecture hall facility rentals include complimentary wifi, whiteboard, desktop computer, projector screen and AV overhead projector. Laptop connections (most rooms only have HDMI, some VGA) are also available. During the academic year, IT support is available Monday through Friday until 11:00 pm (modified hours from May through August). 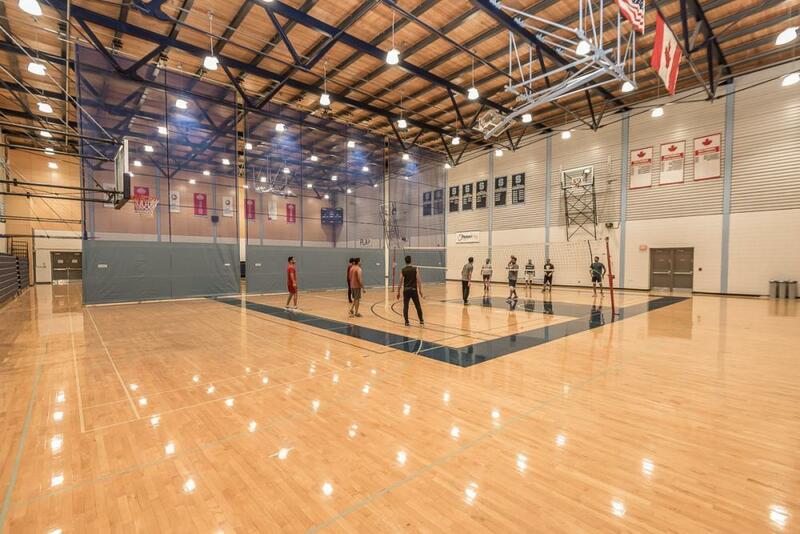 Both Oakville and Brampton have double gymnasiums, each at approximately 12,000 square feet. Each gymnasium measures approx. 90ft x 135ft with bleacher seating also available. A mesh wall divides each gymnasium into 2 individual spaces for activities. Dance & Yoga Studios	 At both the Oakville and Brampton campuses, there are a number of different studios available for bookings, either for individual events or as a way to provide an alternative and fun activity to Conference delegates. Outdoor Stadium	 The stadium in Oakville is a FIFA level one turf field. There is covered seating for 1,000 people and recently renovated change rooms. The stadium can be used for recreational activities, and is also a great location for a large outdoor keynote address. 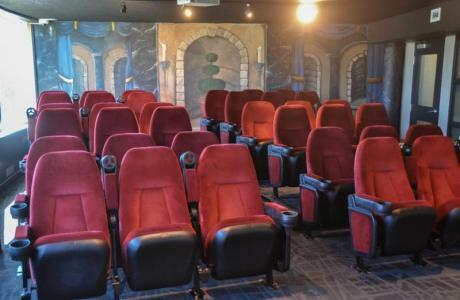 Macdonald - Heaslip Hall	 Macdonald - Heaslip Hall is our performing arts theatre available for rent May through August. The facility features a large stage and has seating both on lower and balcony level. Throughout the academic year, Macdonald - Heaslip Hall has the best of Broadway and other musical gems during Theatre Sheridan productions (group tickets are available). Ampitheatres	 At both the Oakville and Brampton campuses, there are large open ampitheatre spaces that can be used both for keynote speakers or informal addresses. Specialty Labs	 For specialty conference groups or others interested in incorporating a unique activity in their programming, there are a number of different labs available at all campus locations that can help keep things interesting! Sheridan has glass and textile studios, nursing labs, athletic therapy training facilities, and many more. 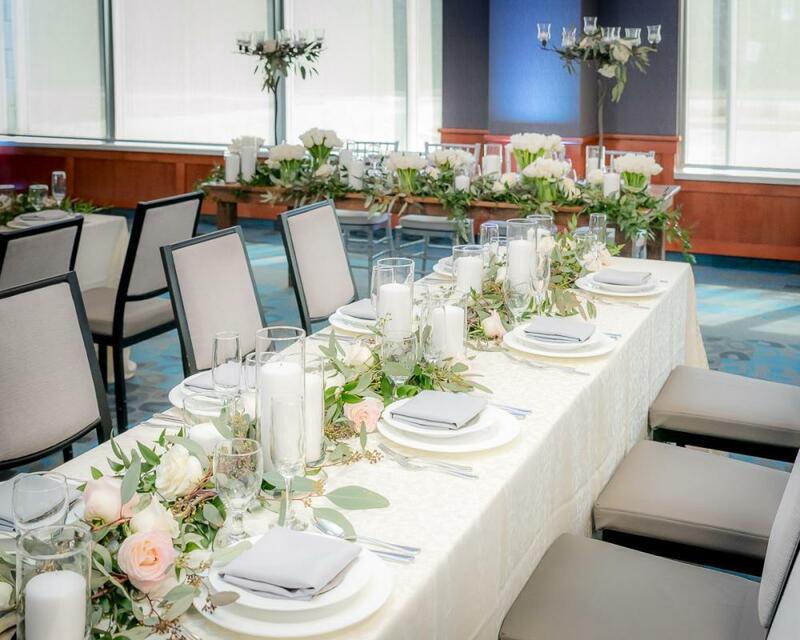 The art galleries (Oakville and Mississauga) provide a creative and interesting setting for a reception. It is an exhibition space that showcases emerging student artists and helps bring to life Sheridan’s innovative and energetic arts community. The Gallery highlights curriculum-based student work and supports a variety of exhibition related learning experiences to reinforce the relationship between learning institute, industry and community. Impressions Catering provides complete catering services to our visiting guests. Their professional team provides quality service to create a truly “impressionable” event. 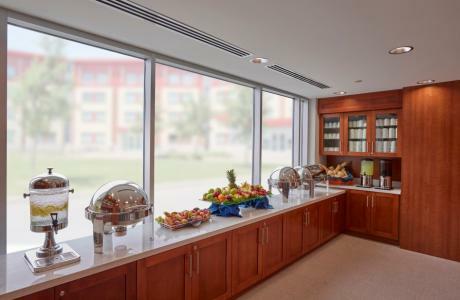 All-inclusive daily menu packages also available at the Sheridan Conference Centre & Residence (Oakville). For evening and weekend special events, external caterers are permitted at our Oakville Conference Centre (additional fees apply). 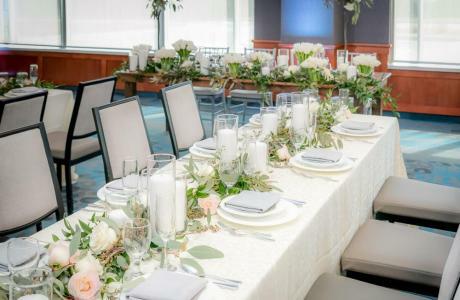 We work with several wonderful preferred caterers that cater locally in Oakville, and we'd be happy to connect you with them. Just ask for details! The Trafalgar Marketplace features a wide variety of food service outlets to accommodate all food preferences: Chef's Corner, OTG (takeaway salads, sandwiches), Thai Express, Subway, Harvey's, Pizza Pizza, Tim Horton's. Conveniently located around campus you can also find a few other Tim Horton's, as well as a Second Cup in the SCAET building. 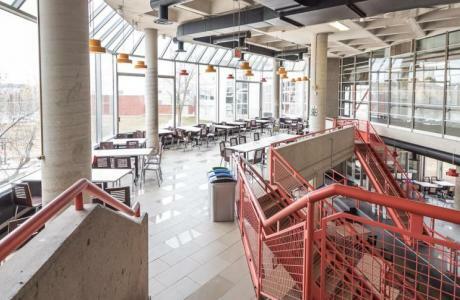 The SCAET building features casual lounge seating and dining tables in a large open atrium. A full service Second Cup is in this building, offering an alternative to the several Tim Horton's locations at our Trafalgar Campus. Sheridan Student Union operates several delicious food service outlets at the Trafalgar Campus in Oakville. There is a full service pub and concert venue (The Marquee), a fresh burrito joint (Union Burrito), and a great coffee shop offering a different donut daily (Coffee Loft). The Marquee and its private patio can also be rented for special events, welcome receptions, Conference closings, etc. Davis Marketplace is centrally located at our Brampton campus, making it an easy location for lunch or to grab a snack. 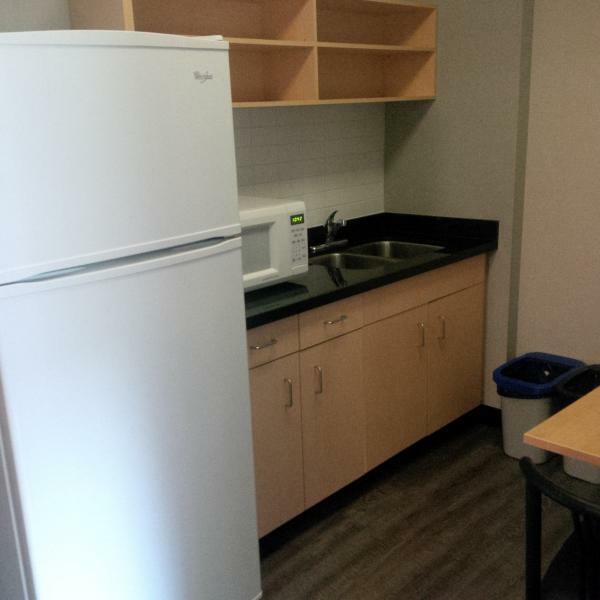 Food service outlets include: Chef's Corner, The Grill, OTG (takeaway salads, sandwiches), Tim Horton's, and Pizza Pizza. Sheridan Student Union operates several delicious food service outlets at the Davis Campus in Brampton. 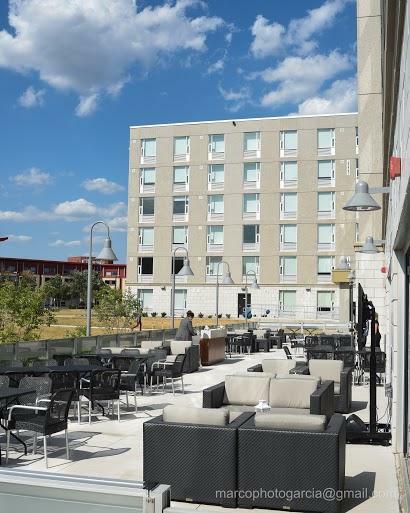 There is a full service pub and concert venue (The Den), a fresh custom bowl outlet (Union Fresh), and a coffee shop complete with smoothies and lattes (Bruin Coffee House). The Den can also be rented for special events, welcome receptions, Conference closings, etc. 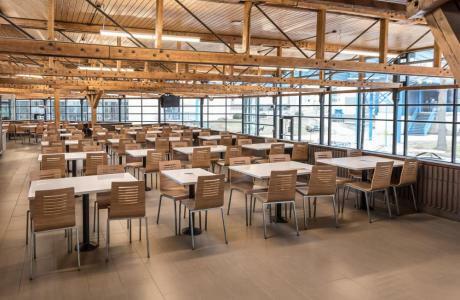 The Hazel McCallion Campus (HMC) Cafeteria is located right next to our largest Lecture Hall at this campus, which makes it the perfect lunch location for Conference delegates. 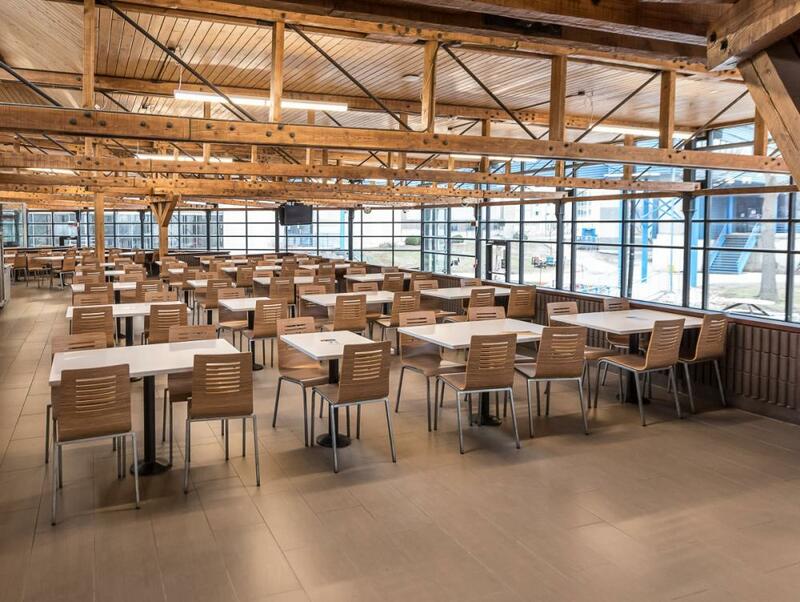 The Cafeteria can either be used for catered meals or for guests to pick their own lunch from a variety of food outlets: OTG (takeaway salads, sandwiches), The Grill, Smoke's Poutinerie, Tim Horton's, and Pizza Pizza. Located in the HMC A-Wing, this additional seating on the main level provides a quieter setting to grab a coffee at Starbucks and get some work done. The area is also a popular location for smaller receptions and gatherings. 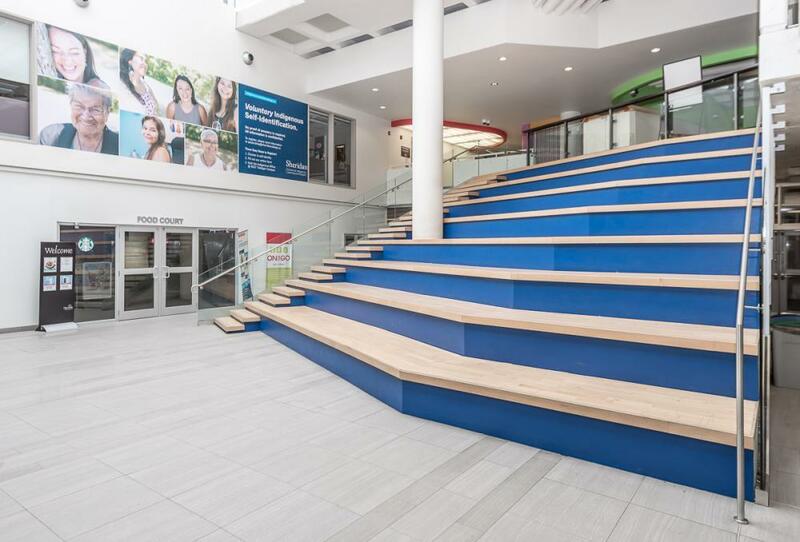 In January 2017, we opened an expansion to our Hazel McCallion Campus, the new B-Wing. 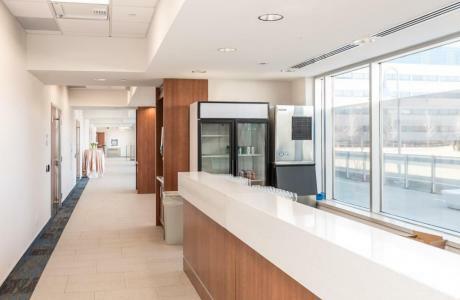 The brand new Cafeteria in this location has a Tim Horton's, Grill & Co., Bento Sushi, and On-the-Go for some quick and healthy options. 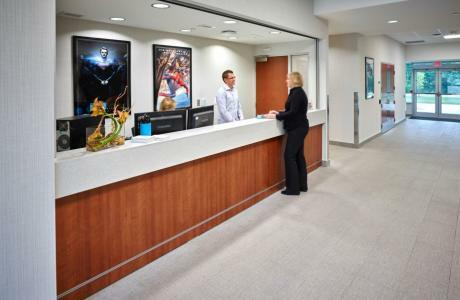 Conference Coordinators	 Our Conference Coordinators are experienced event planners that will help you through the entire process of planning your conference or special event, starting with your initial inquiry all the way through event execution. We work with a preferred local rental company and can assist in booking special furniture or linens and scheduling deliveries. If you're not sure which venue is suitable for your event, please contact us!! We'd love to hear more about your vision and we will match it to the best location we have to offer on campus. Guest Services - Accommodations	 When accommodations are available May through August, our Residence & Conference Centre locations in Oakville and Brampton have 24-hour friendly front desk staff that are able to assist with all guest service needs. 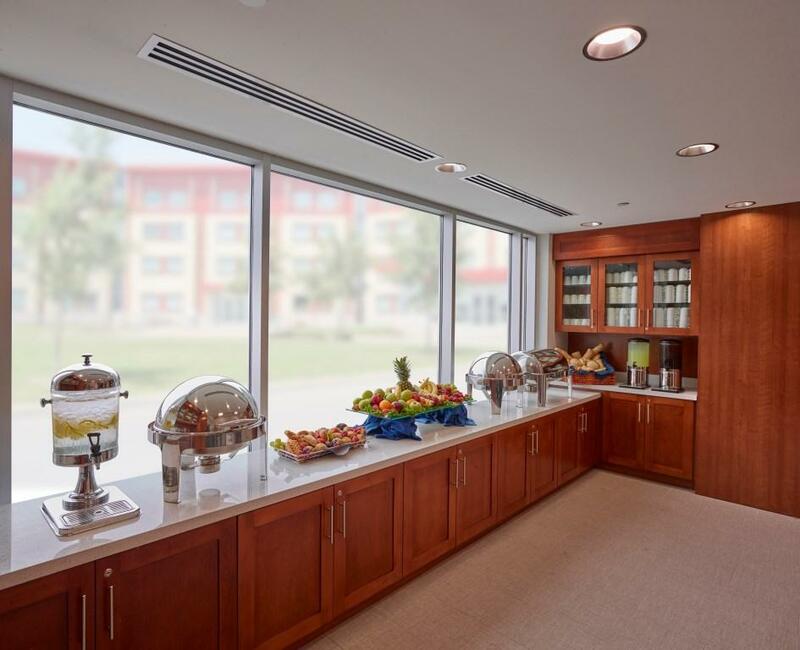 Sheridan onecard	 If you are interested in providing your attendees with nutrition breaks and meals but can't decide on a menu, consider enrolling in our onecard program. Funds can be added to each card and distributed to your Conference delegates or summer campers upon registration. The onecard or an accompanying UBand can be tapped at any Campus food outlet - your guests will be happy to have the freedom of choice over their food and you won't have to worry about a thing! Conference Centre Technologist	 Our Conference Centre (Oakville) AV Technologist is on-site to assist with all your AV requirements, or to troubleshoot during your event. Our experienced staff is always happy to provide suggestions to ensure that your meeting or special event looks professional. We offer different packages, depending on whether you need them just to put your mind at ease during setup or if you need them dedicated to your event from start to finish. IT Service Desk	 The IT Service Desk is your front door to technology services at Sheridan. 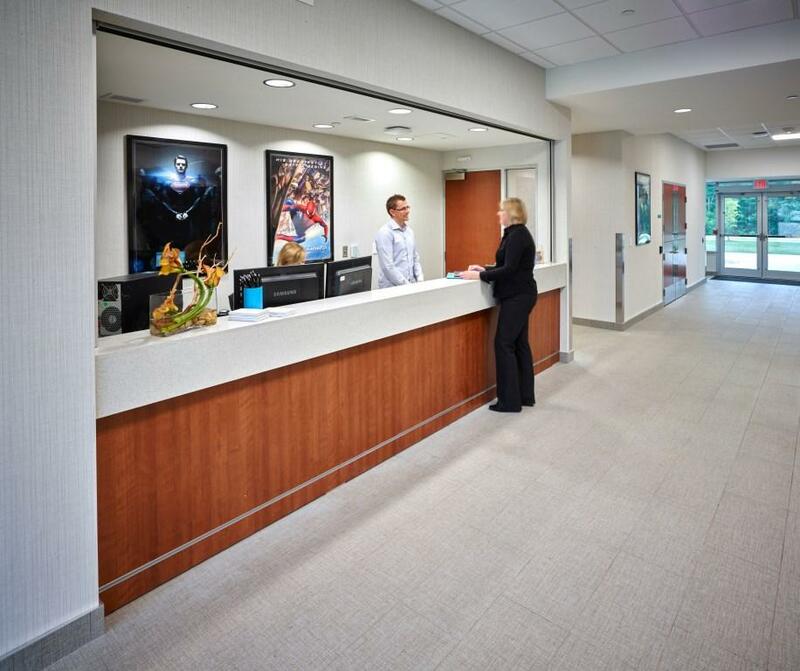 The Service Desk Team provides customer-focused service with a goal of first call resolution, regardless of the method of contact – phone, email, in-person or via our online chat feature. With service until 11:00 pm Monday through Friday during the academic year (modified summer hours), the Service Desk is easily accessible to help you troubleshoot your AV issues. Sheridan Print Shop (Xerox)	 Centrally located at all three of Sheridan's campuses, the Print Shop offering a variety of services including printing & copying in full colour or black and white, binding or finishing services (includes cutting, laminating, wrapping, stapling), and ordering for wide format printing (banners, signs). Bookstore	 Centrally located at all three of Sheridan's campuses, The Bookstore is our on-campus source for any last minute stationary or toiletry needs. The Bookstore also offers a large selection of Sheridan apparel, giftware, snacks and more! Campus Security Services	 Sheridan Campus Security is responsible for the safety and security of students, staff, faculty, and visitors. Security is available 24 hours a day, 7 days a week. Call ext. 4044 from within the College or 905-815-4044 from outside the College. Security staff is always available to walk you directly to all points on campus, including classrooms, athletic facilities, office/meeting spaces, residences, pubs, and bus stops. We also have 147 emergency phones providing direct access to Campus Security, which have been installed for safety inside buildings and on the grounds at all campuses. Conference Centre - Oakville All our Conference Centre equipment is in-house, saving you thousands of dollars in external AV rentals. 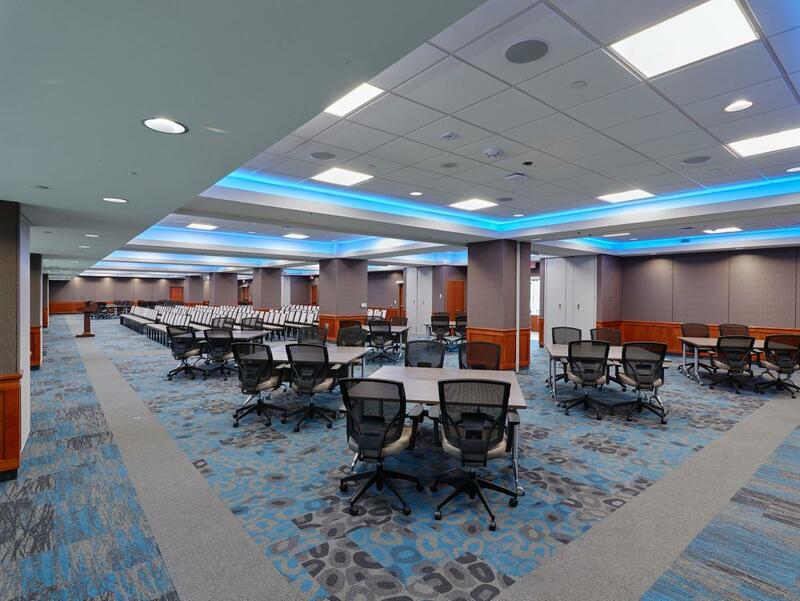 We offer the latest in integrated AV solutions and meeting room technology, including web and audio conferencing capabilities and secure, high-capacity, business-grade Wi-Fi included at no additional cost. 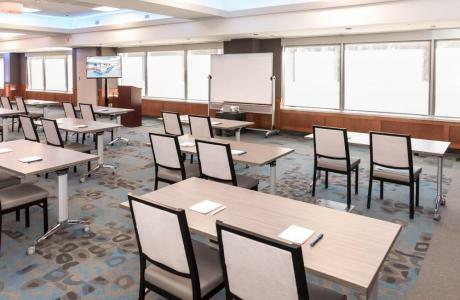 Classrooms & Lecture Halls With all rentals, complimentary wifi is provided to all your attendees. In our academic spaces, overhead date projectors and screens are built-in to the facility. 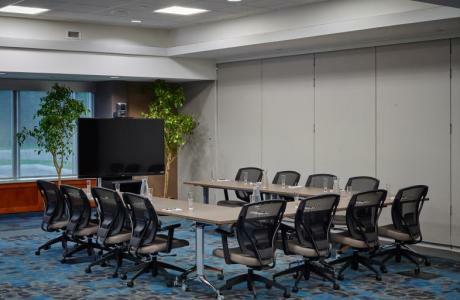 You can choose to either use the desktop computer in the room to connect to our in-house technology, or you can bring your own laptop - HDMI connection is provided in most classrooms, some also have VGA. Whiteboards are also included in most academic spaces. Oakville, Ontario	 For all information on our beautiful waterfront town of Oakville, we encourage you to check out the site of Visit Oakville. Visit Oakville acts as a destination management organization operated through a Board of Directors comprised of Oakville Tourism stakeholders. Glen Abbey Golf Course	 Glen Abbey Golf Club, which welcomes the public golfer and ClubLink Members alike, has been a grand stage for golf history since opening more than 30 years ago. The world-famous property is also home to the Academies of ClubLink, the headquarters of Golf Canada, the Canadian Golf Museum and Hall of Fame, and the TaylorMade Performance Lab. Bronte Creek Provincial Park	 Located just a few minutes away, Bronte Creek Provincial Park has everything for outdoor enthusiasts, families, and solo travellers. There are five great hiking trails that showcase the natural beauty of the park, camping and RV sites, a 1.8 acre outdoor pool, an animal farm, a heritage house (Spruce Lane Farm House), a disc golf course, and excellent interpretive programs. The Park also hosts many events throughout the year - Maple Syrup Festival (March), Ghost Walks (August), Camper Halloween, and Homestead Christmas in December. The Oakville Centre for the Performing Arts is a focal point for the cultural life of the town of Oakville. 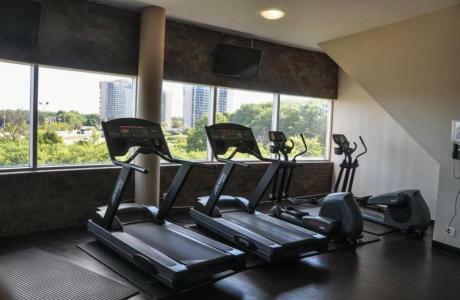 The only professional quality performing arts venue in the town, it sits in the heart of downtown Oakville on Navy Street, nestled between Rebecca Street and Lakeshore Road, overlooking Sixteen Mile Creek. It’s a small theatre that brings big name artists – every seat in the house is a good one as they’re all within 55 feet of the stage. Oakville Downtown & Waterfront	 Oakville’s state-of-the-art waterfront is a favourite among cyclists and hikers; two natural harbours attract boaters and kayakers from all over the world. The downtown core is a dynamic shopping and cultural district, recognized for outstanding retail mix, professional services and exceptional dining. Made up of six city blocks rich in history and heritage, Oakville's core is home to over 350 businesses. Must see: Gairloch Gardens. Kerr Street Village	 Kerr Village is a vibrant community with a unique character situated just outside of downtown Oakville. Community values are reflected in the shops, restaurants, and services along Kerr Street as well as the neighbourhood events. If you're looking for a unique experience, come find yourself in Kerr Village. Bronte Village	 Beautiful Bronte Harbour is our Village-by-the-Lake. With so many different shops to choose from, you can pick up everything from antiques to imported gourmet treats. 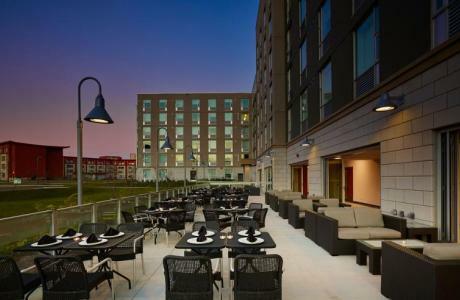 There are also beautiful restaurants with charming patios, spas, yoga studios, and many more. Oakville Museum at Erchless Estate	 The historic buildings of Erchless Estate were once home to Oakville’s founding family but are now the setting for Oakville's community museum. Colonel William Chisholm, an enterprising merchant and shipbuilder, founded the town and built Erchless overlooking his new harbour and Lake Ontario. Today, visitors can still enjoy that magnificent view and explore the beautiful buildings, grounds and gardens of Erchless. The Oakville Museum offers guided tours of the Chisholm family home, changing exhibitions, special events and programs that tell the fascinating stories of our town. Royal Botannical Gardens	 Located in Burlington, the Royal Botanical Gardens is the largest botanical garden in Canada, a National Historic Site, and registered charitable organization with a mandate to bring together people, plants and nature. They dedicate their expertise in horticulture, conservation, science and education – together with the unique gardens, facilities and natural lands – to inspire and nurture society’s commitment to the environment. Royal Botanical Gardens is a global leader in how we use plants and the natural world to connect people, place and sustainable behaviors. Bruce Trail	 The Bruce Trail, Canada's oldest and longest marked footpath, provides the only continuous public access to the magnificent Niagara Escarpment, a UNESCO World Biosphere Reserve. Running along the Escarpment from Niagara to Tobermory, it spans more than 890 km of main Trail and over 400 km of associated side trails.